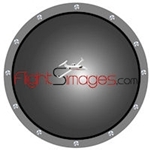 Founder of FlightSimages.com .. Providing high-quality flight simulator and real-world images for all types of media.... Beta tester for REX Game Studios.... Member of AspireFSX which is devoted to aviation enthusiasts and often particiipate in group flying events. FSX is the Sim of choice and generally like flying the GA stuff rather than the big jets. The following 6 questions are required for spam protection. Do not worry if you do not know the answer to one or more of them or if you think your answer is not quite correct, just answer the questions using your best knowledge, in your own words, they are just meant to distinguish accounts which are clearly spam, and whose owners obviously have nothing to do with aviation and flight simulation and real aviation and flight simulation enthusiasts: What does FL360 mean? Anti-Spam: What does VFR stand for? Anti-Spam: Why did the Douglas engineers not equip the DC-3 with an FMS? Anti-Spam: What does the VSI show you? Anti-Spam: What is the purpose of the HSI? What Flight Simulator/s do you use? How realistic do you sim-fly? What predominates in your FS hangar? What predominates in your addon scenery collection? Are you a member of a virtual airline? What fascinates you the most? Do you usually fly multiplayer? Are you into FS videos?